Steam release planned for three games in 2016. 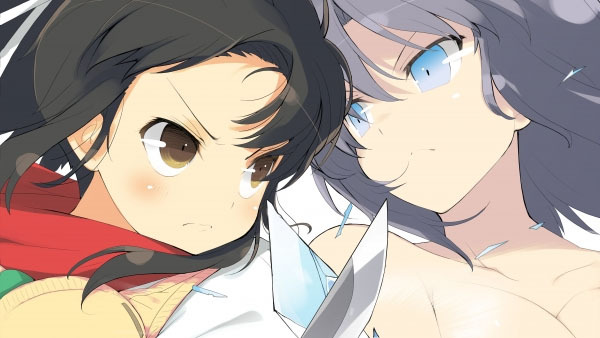 XSEED Games is bringing Xanadu Next, Senran Kagura: Shinovi Versus, and Little King’s Story to PC via Steam in western territories in 2016, the publisher announced. Xanadu Next previously launched for PC in Japan in 2005. Senran Kagura: Shinovi Versus was released for PS Vita last year. And Little King’s Story was released for the original Wii in 2009. View the first Xanadu Next English screenshots here. View the first Little King’s Story PC screenshots here. Designed and developed originally for Wii, Little King’s Story is headed to PC in all its glory, improved with true HD fidelity. Experience the story of Corobo, a young boy that stumbles across a crown with a mysterious power to charm any person and make them follow any order. Proclaimed the new king of his village, Corobo begins his efforts to turn his home into the best kingdom ever. Little King’s Story combines life simulation and real-time strategy with ample adventure elements and an enchanting storyline. Every NPC (Non-Playable Character) in the village has his/her own personality, and players can command these townspeople to do various tasks, from digging for treasure to breaking down obstacles between areas. Unite surrounding rival kingdoms under one flag to become the best king in the world! Little King’s Story is scheduled for release on Windows PC through various digital distribution platforms in early 2016. Xanadu Next is an exploration-centric action RPG from Nihon Falcom, the acclaimed creators of the Ys and The Legend of Heroes RPG franchises. A late entry in their immensely popular Dragon Slayer series and a spiritual follow-up to the late ‘80s cult classic Faxanadu, Xanadu Next puts the player in the shoes of a gravely injured knight given a new lease on life through ancient magic, who must now seek a legendary sword called “Dragon Slayer” to ensure his survival. Set on the medieval Europe-inspired Harlech Island, players will explore the many different and interconnected environments of the world around them while battling vicious enemies in real-time, utilizing various skills attached to the many weapons they find along the way. Through a variety of ability-enhancing items that allow access to new areas, “Guardians” that grant passive effects, stat customization with the ability to level-down for point redistribution and more, the multitude of mysteries surrounding the ancient land of Xanadu are waiting to be unraveled. Xanadu Next is scheduled for release on Windows PC in Spring 2016. The lovely shinobi girls from the Senran Kagura series also get an HD makeover in a port of Senran Kagura: Shinovi Versus. Initially released on PS Vita, Senran Kagura: Shinovi Versus follows the events that took place in Senran Kagura Burst, revisiting the rivalry between the students of the Hanzo National Academy and their sworn enemies at Hebijo Clandestine Girls’ Academy, the latter of which have now gone underground and formed a mercenary group known as Homura’s Crimson Squad. Both sides must also contend with two new sets of enemies: the students from the exceptionally strict Gessen Girls’ Academy, as well as the new generation of Hebijo students who seek to dominate all rivals. Fan-favorite elements such as massive mid-air combos, Secret Ninja Techniques and clothes-ripping action will now be presented in full HD with this PC update of Senran Kagura: Shinovi Versus. Each of the four schools gets its own unique narrative, and the original Japanese voice-overs pair with full English subtitles to bring each girl’s distinct personality and storyline to life. With 20 playable characters, each featuring her own diverse fighting style and palette of special skills, players will have to master a vast array of abilities as they set forth upon the Path of the Shinobi. Senran Kagura: Shinovi Versus is scheduled for release on Windows PC in Summer 2016.